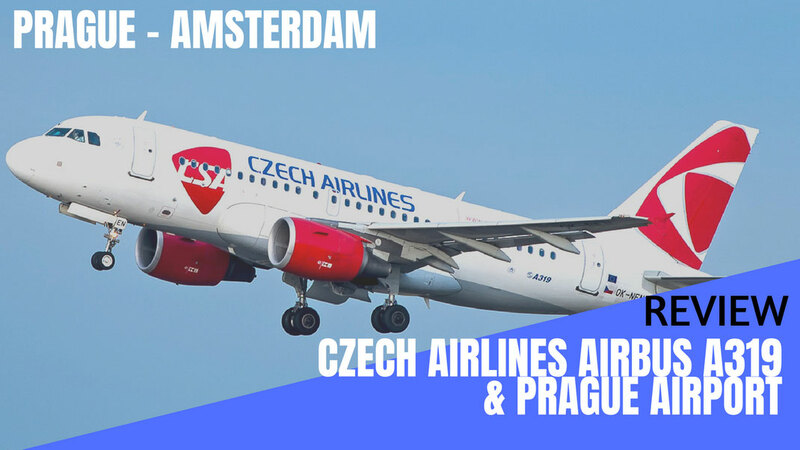 If you don't want to read the review (I know, too many words) you can just lean back and enjoy my video report which gives you a detailed inside of what it's like to travel on Czech Airlines Economy Class and experience their hub in Prague. 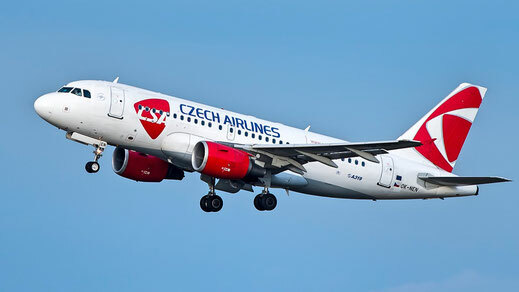 Czech Airlines A319 comes in a 3-3 configuration with 140 seats in total. 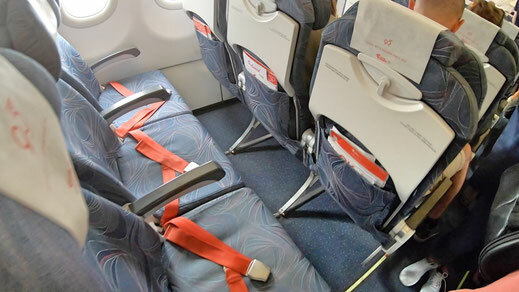 The first two rows are allocated Business Class seats with a blocked seat in the middle. If you happen to book a standard flight on CSA it won't include checked bags, only cabin luggage. The ground staff is really strict on that policy and enforces it. Don't gamble and try to get away with it because chances are minimal. 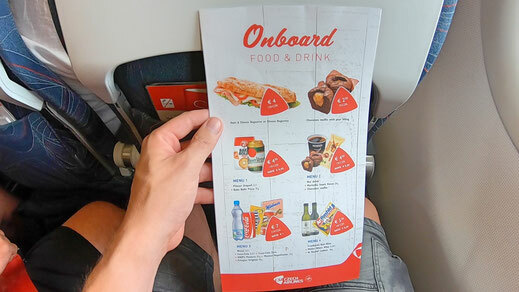 Food isn't included in your flight, but if you want you can purchase snacks or drinks onboard. Due to our 45 minute delay the crew would offer free water which isn't normally the case. The crew was very nice and looked very professional. They handled the situation quite well and had a bright smile on their face throughout the flight. Much better than their Polish neighbours LOT Airlines, which was a rather not so pleasant experience. So don't Eastern European are always grumpy because the Czech Staff was great! Czech Airlines also sells Duty Free items on all of their flights. According to whatever fare you book, Lite, Plus or Flex you'll get a curtain Baggage Allowance on your flight. Keep in my mind that checkin your bag at the airport will result in way higher fares than usual. Good Luck! Prague is probably one of my favorite Airports in the world. It offers very fast Internet which doesn't require any nonsense. Just tick the box and go online. That's how it is supposed to be. 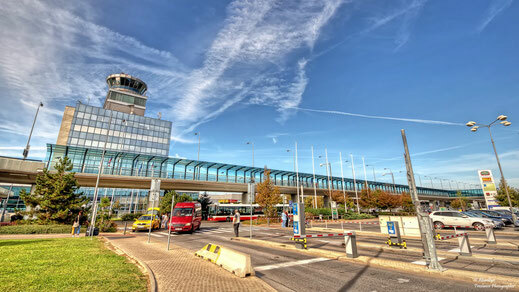 Vaclav Havel Airport also has a range of good restaurants such a Starbucks, KFC or Burger King. But also local restaurants and fruit bars are located all around. The airport is also very structured, no long queues anywhere unless you fly to Tel Aviv. Also within the transit zone heaps of shops and bars are available. 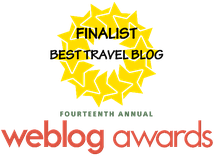 It's overall a very nice airport and extremely passenger friendly, thumbs up! Czech Airlines offers a fairly standard European product. Nothing fancy but dedicated. I really enjoyed the crew on my way to Amsterdam and seat wasn't too bad. I certainly enjoyed the Prague Airport experience, which in my eyes, is one of the airports in the world. You can't really go wrong on a flight within Europe since the products are very very similar to each other. I'd fly them again.